Congratulations on your recent victory in the Democratic Gubernatorial Primary. As adjunct professors with SEIU Faculty Forward and Florida Public Services Union (FPSU), we are part of a statewide and national movement to renew the promise of higher education. 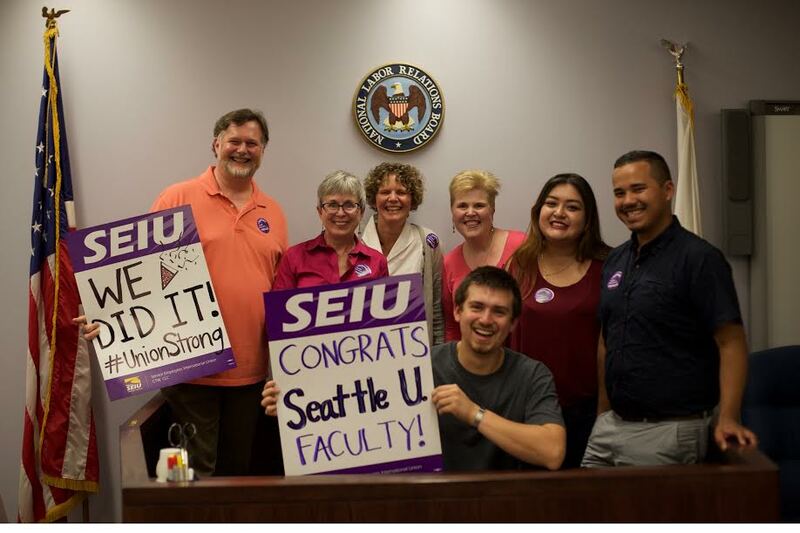 Nationally, 54,000 faculty members and graduate workers on more than 60 campuses have joined the Faculty Forward movement and formed unions with SEIU. In Florida over just the last two years, adjuncts at Hillsborough Community College, Broward College and University of South Florida formed our unions with SEIU FPSU. We have filed for unions at Miami Dade College, Valencia College and Seminole State College. In addition, we are speaking with and organizing our colleagues at every one of the twenty colleges in the public system. By joining together for change, we’re standing up not only for good jobs for educators and campus employees, but for our students and all working people in Florida. We believe that access to a fully-funded, free college education provides an important opportunity for our students – white, Black and brown and from every walk of life – to make it in our country. The fight for funding our higher education system is about equity. That’s why we are very excited about your momentum in this election. We appreciate you standing with us in our fight for student loan forgiveness, free college for all Floridians and $15 an hour minimum and a union for all campus employees. We look forward to supporting your effort and working with you for change. On behalf of Florida’s adjunct professors, we wish you the best of luck.